What’s Going on with Perimenopause? Peri-menopause can be a stressful time of life, but certain practices can help keep symptoms manageable. From acupuncture to peppermint oil, there are a wide range of natural, evidence-based alternatives to drugs for alleviating hot flashes. Is the FDA Trying to Ban Over-The-Counter Homeopathy? Is the FDA acting out of malicious intent or willful ignorance in publishing a new draft guidance on homeopathics which would effectively treat them like pharmaceutical drugs, with similar regulatory requirements? Modern women at midlife have many options when it comes to dealing with those nasty menopausal symptoms like mood swings, depression, bone loss, and fluctuating estrogen levels. But their most surprising source of natural relief may come from an ancient food: the juicy pomegranate. Menopause can seem like torture. 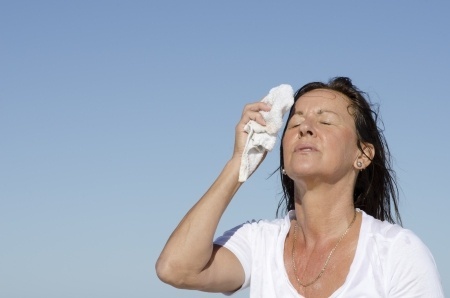 Women at midlife suffer with mood swings, stubborn weight gain, hot flashes, and low energy. At the same time they can develop anxiety, depression, and trouble sleeping.